The Hartford City Parks Department has been in existence since 1971. It is governed by a 4 person, non-partisan board. The Park Board holds their meeting on the second Tuesday of each month. The department currently staffs 5 part-time summer employees, and a part-time park superintendent. The park season runs from May 1st to October 1st. Hartford City is unique because there are various parks located throughout the town. Each park has its own characteristics, with each facility being a little different. The 5 parks listed below are available for rent throughout the summer. There is a $25.00 rental fee for an open shelter and a $50.00 rental fee for a closed shelter. For more information about renting a shelter, please contact the Water Utility Office at 765-348-0410. Sigma Phi Gamma Park is located 3 blocks west of S.R. 3 between North St. and Elm St. 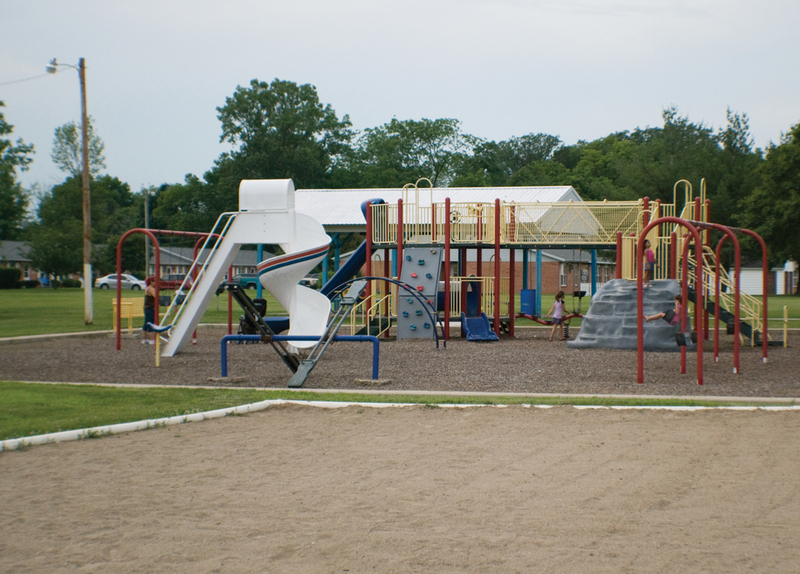 This park contains a variety of equipment, including a "kiddie park," tennis courts, and a basketball court. Sigma Phi Gamma Park sits on 12 acres and is twice the size of any other park in the community. Sigma Phi Gamma Founders Park honors the five Hartford City women who founded the sorority. Members of the Alpha Chapter and members from throughout the country generously donate funds for park improvements. The sorority aides the Park Board in decisions affecting this park. They are very active in the progress of this facility. In 1999, Sigma Phi Gamma Park adopted the local Tee-Ball program and provided them with 2 ball fields, which the Tee-Ball program maintains in top form. Our youth football program also calls Sigma Phi Gamma, home. Pee-Wee Football continues to gain popularity. A flag football program is also available for Kindergarten through 4th graders. The Memorial Swimming Pool Park is located 4 blocks south of State Road 26, on Wabash St. Swimming pool features include a curly slide, a basketball goal, and a diving board. The Memorial Pool is approaching its 50th birthday and has seen major repairs. Having been constructed in the early 1950's, it's beginning to show its years. The Park Board is presently searching for funds to construct a 1.3 million dollar facility. The new facility would be 100% handicap accessible. It will have 6 swimming lanes, 2 slides, and a water toy in the shallow end. Located to the north of the pool is a 6 acre playground. Swings, slides, see-saws, and a basketball court make up the majority of this park. On the northwest corner, a backstop provides youth baseball teams a great place to practice. Kings Park lies east of S.R. 3 off of Hackney St. between Jefferson St. and Monroe St. This park is split into three sections. The northern section contains our most popular basketball court and 2 tennis courts. The southern section houses the playground equipment, the restrooms, and a shelter house. The western section has 6 lighted horse shoe pits and a drinking fountain. The Water Department graciously donated a fountain in the southern section that children cool off with daily. This facility covers 4.5 acres. The northeastern section contains our skate park. 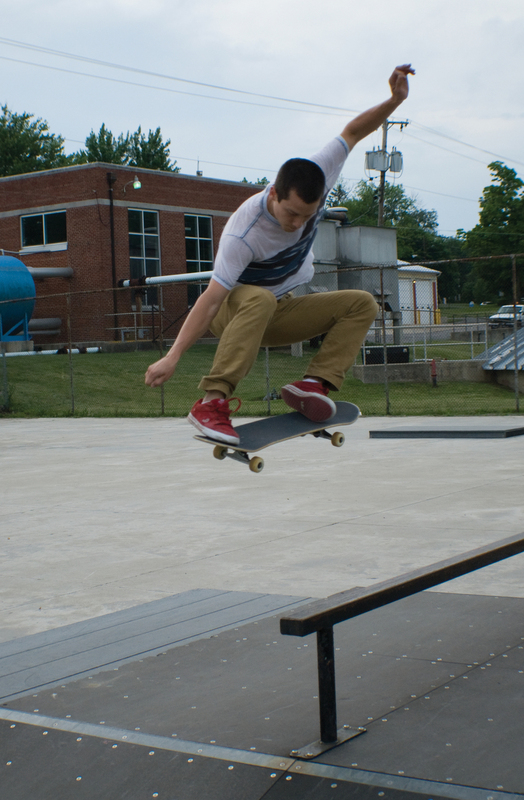 With a wide range of ramps, rails and jumps you can find kids at this park most of the year. Hoover Park is probably the most used park in town. Centrally located, Hoover Park can be found 6 blocks east of S.R. 3 between Kickapoo St. and Grant St. The entrance to this park is a great place for a family photograph. Having once been an entrance to a cemetery, this area converted very nicely. The enclosed shelter house makes this one of the most rented in town. Other features include a basketball court, a 6-foot basketball goal, and a variety of playground equipment. Wilderness Park provides beautiful scenery for the nature lovers. A fitness trail through the woods supplies equipment for those wanting to get in shape. A nature trail furnishes a 1.5 mile walk through the woods and allows for a relaxing hike. This wooded area covers 24 acres. It includes restroom facilities, an open shelter house, baseball fields and a Bark Park.